Chunky maple cinnamon granola is an easy choice for snacks or a topping for yogurt. I recommend old-fashioned oats because they’re larger and bake up nicely. Be careful when breaking apart. 1 cup seeds: Try sesame, flax, millet, chia, hemp, pumpkin or sunflower or a combination. Preheat oven to 325. Put a piece of parchment or foil on large cookie sheet (about 15×17 with sides). Spray parchment/foil. Pour coating over oat mixture. Pour onto pan and pat down evenly and very firmly. This is important to make the granola chunk up later. Bake 35 minutes or so, until it looks golden. I like to pat it down again while it’s still warm. Let cool and break into chunks. Millet (you recognize it as an ingredient in bird feed) gives a crunch and contains protein and iron. Chia, like flax, is a great source of Omega 3’s, but doesn’t have to be ground to get the benefit. It also absorbs water and curbs appetite. Hemp seeds. So, I know what you’re thinking … you won’t go off into la-la land after ingesting hemp seeds. They are hulled and safe to eat. The bonus: they’re a complete protein and full of Omega 3s. Simple and easy to serve, the veggies are cut up prior to roasting. Preheat oven to 425. Combine all the ingredients and seasonings in large bowl, season with salt and pepper to taste. Spread vegetables out on large-rimmed baking sheet and roast until tender. Olive oil vs. grape seed oil: Olive oil is made from olives and grape seed oil is made from the seeds of grapes. Because they are plant-derived, neither contains cholesterol. Both have vitamin E, which is good for your immune system and protects your cells. Grape seed oil has twice the vitamin E of olive oil. 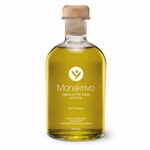 Olive oil has a distinct flavor where grape seed oil has a neutral flavor. Although both oils have a high smoke point (good for high temperatures), grape seed has a higher smoke point than olive. Which one to use depends upon the flavor profile you are looking for. Rita Nader Heikenfeld is an herbalist, educator, Jungle Jim’s Eastgate culinary professional and author. In a medium mixing bowl, stir together the flour and salt. In a small bowl, whisk together the yogurt and 3⁄4 cup lukewarm water, then whisk the liquid into the flour in four additions, until the batter is smooth. Heat an 8-inch nonstick skillet over medium-high heat. Spray with cooking spray or brush with a thin film of oil. Pour 1⁄4 cup of batter into the skillet and immediately tilt it to make the batter evenly cover the bottom of the skillet. Cook until bubbles appear in the center of the crepe, about 2 minutes; flip with a spatula, and cook briefly on the other side, about 30 seconds. Flip the crepe onto a plate and cover it with a clean cloth to keep it warm, and repeat with the rest of the crepe batter. Carefully crack 2 eggs into the pan, without touching, and fry to desired doneness. Repeat with 2 more teaspoons olive oil and 2 more eggs. Place 4 crepes on individual plates, top each with 1⁄2 an avocado mashed with a fork and 1 olive oil–fried egg. Squeeze 1 lemon wedge over the crepe, sprinkle with salt and Aleppo pepper, and serve. This batter can be made and kept in the fridge for up to three days, though you may need to whisk in a tablespoonful or two of water if it becomes too thick. Once cooked, the crepes can be stacked between wax paper or nonstick parchment paper, wrapped airtight, and refrigerated for one day or frozen for up to a month. To serve frozen crepes, defrost them in the refrigerator, then reheat them briefly in a hot skillet. 4 very large Portobello mushrooms lightly rinsed reserve the stems and remove the black gills. 1. Heat 1 ½ tbsp. extra virgin olive oil in a skillet and quickly sear the mushrooms on both sides for 1 min in each side. Remove and set aside. 2. In the same skillet, add the mushroom stems, onion and potatoes and sauté until the potatoes are tender. Add the parsley and season with salt and pepper. 4. Add the eggs to the potato mixture and divide this mixture into the inside of the mushroom and lightly press down to shape. 5. Place these in a oven proof casserole and top with the feta and bake in a 400 degree oven for 3-4 min. Remove and serve. Place all ingredients, except sesame oil and Tabasco Sauces, in a blender. Blend until all ingredients are combined. Pass through a fine mesh strainer to remove solids and divide mixture in half; pour into 2 small bowls. In one half, add Tabasco Habanero Sauce. In the other half, add sesame oil and Tabasco SWEET & Spicy Sauce. Cover and set aside. Preheat oven to 300°F. Combine all ingredients until seeds are well coated. Spread onto baking sheet and roast for 15 to 20 minutes, stirring every five minutes, until dry and crispy. In a small bowl, toss red onion with lime juice and salt. On a cold plate, place sliced fish in single layer. Cover fish with Leche de Tigre with Tabasco® Habanero Sauce. Garnish with onions, cilantro, chiles and pepitas. In a small bowl, combine tuna, apples, tomatillos, green onions, and cilantro. Toss mixture with Leche de Tigre with Tabasco® SWEET & Spicy Sauce. Place on cool plate and garnish with sliced peppers and sesame seeds.